The Brazilian Cooperation Agency (Agência Brasileira de Cooperação — ABC) is a part of Brazil’s Ministry of External Relations. 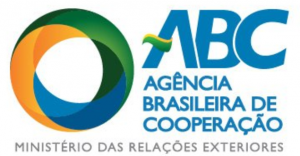 The ABC administers flows of multilateral and bilateral assistance to Brazil, and it coordinates technical assistance between Brazil and developing countries (i.e., South-South cooperation). ABC’s geographical reach in South-South cooperation includes the Portuguese-speaking developing countries; countries of South and Central America; and the Caribbean region. The ABC has a lesser presence in the world’s other developing regions. Technical Assistance and Knowledge Transfer. The ABC provides horizontal assistance to developing countries in program areas that include agriculture and food security; energy and biofuels; and environment (among other thematic areas). The form of the assistance can include training, research, and infrastructure support. In principle, ABC’s assistance is available to all types of institutions — public agencies, private entities, research institutes, and other organizations. APPLICATION: The ABC accepts requests for technical assistance through a form that it posts on its website. The guidelines and basic form are available in Portuguese, Spanish, and English. Applicants identify their institution and key project personnel; give details about the aims of the proposed project; and explain how the project will be implemented (including a budget and an offer of counterpart support). The ABC’s website is in Portuguese, with a few materials available in English and French. The Third Country Training Program is managed by the ABC with the Japan International Cooperation Agency (JICA). Short courses are offered in several priority areas that include agriculture and environment. Depending on the training course being offered, participants are from Brazil; other Portuguese-speaking countries; other countries of Latin America; and Sub-Saharan Africa. ABC posts the training calendar and application guidelines. ABC offers a contact form. Persons and organizations needing assistance to contact ABC may be able to find support through Brazil’s diplomatic missions.